Successful young mystery novelist Molly Hunt, raised by adoptive parents on Long Island, is stunned when a chance encounter leads to a startling revelation. She is apparently the daughter of the aristocratic Mountfort family of Charleston, South Carolina, kidnapped as an infant from their ancestral home - and has an identical twin sister. Christy Loren has come to fear her gift of clairvoyance, an unwanted legacy from her mother, a famous psychic. Without warning, visions envelop her - visions that have guided the police, too late, to the bodies of murder victims. 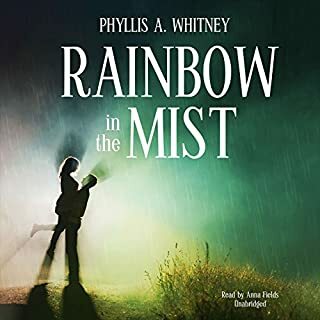 To escape these horrors, Christy flees her home in Long Island to seek peace and safety in the foothills of Virginia's Blue Ridge Mountains and the reassuring presence of her down-to-earth aunt. Hallie Knight is summoned to a historic seaport town by Nicholas Trench, the critically ill grandfather of her former college roommate. Months earlier, Trench's granddaughter Susan mysteriously disappeared from his home and all attempts to learn her fate have failed. He feels that if anyone can find Susan, it will be this woman who was his granddaughter's closest friend. Hollis Sands has never gotten over her husband's death. Ricky had been a famous popular singer, and she wrote her best songs for him. Hollis can't believe he took his own life. Perhaps it was something else...murder. 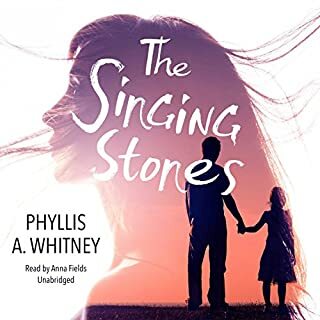 Finally, at Windtop in Cold Spring Harbor, Hollis finds sanctuary, and begins to put in place the pieces of her life. But strange and frightening things keep happening. 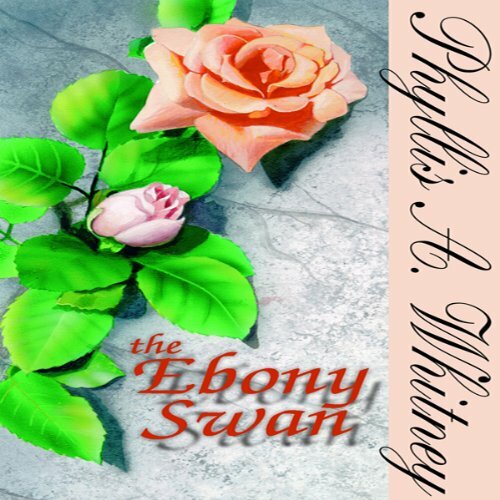 Voices sing the song "Rainsong" that she wrote for Ricky. Guitars play from nowhere. The lush, secluded mountains of North Carolina's Lake Lure had drawn Lauren Castle into their spell. It was here, in 1938, that Hollywood's most beloved glamour girl, Victoria Frazer, drowned during a scandalous affair with actor Roger Brandt. Few knew about the baby spirited away into the night. That baby was Lauren's mother. Despite her misgivings, child psychologist Lynn McLeod can't ignore the plea to help 10-year-old Jilly Asche, the daughter of her ex-husband, Stephen. 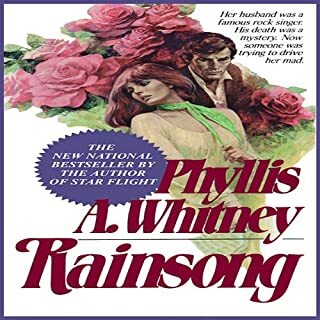 But immediately upon her return to Virginia's Blue Ridge Mountains, Lynn is drawn subtly into the lives of everyone in the secluded household: Stephen, now an enigmatic stranger; Julian, a mesmerizing family friend who challenges Lynn's ideas of life and death; and Jilly, the beautiful lost child burdened by a terrifying and deadly secret. Jennifer still vividly remembers the day when, momentarily distracted, she left her three-year-old daughter, Debbie, unattended in a grocery cart. When she turned back, the child had vanished. For seven years, there had been no sign of Debbie. Then one day, Jennifer receives a mysterious phone call from the wealthy Corinthia Arles, claiming that she has found her daughter. The Shadow of the Lynx follows beautiful young Nora Tamasin as she leaves her home in Victorian England. Recently orphaned, she sails toward the untamed lands of gold-rush Australia. Her journey will take her to the Lynx: the man her father designated as her guardian before he died. Rich, powerful, and commanding, the Lynx is a man who can safeguard her finances, but cannot control her heart. More than 56 million of Victoria Holt’s books have been sold worldwide. She also writes as Jean Plaidy and Philippa Carr. Lacey Elliot has been a woman without a past since the day her mother whisked her off to Charlottesville, refusing for 30 years to speak of her father, her family or her history. 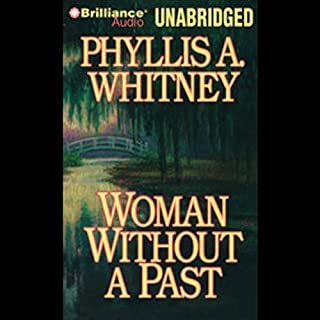 But when Lacey intercepts a desperate letter from an aunt in Harpers Ferry, West Virginia, she sees her chance to confront the past that has terrified her mother and to fill in the gaps in her own life. Against the charm and the colorful, turbulent history of the picturesque town, the violent history of Lacey's own heritage is about to repeat itself. For years Heather Tradescant had dreamed of the journey she and her father would take to England - a pilgrimage to the great gardens of history. Now that her father is dead, Heather is determined to fulfill his dreams. Unfortunately her request to see the fabled 17th-century garden of Troytan House is denied by the owner. Though unwelcome, she braves the walls of briars and reaches the Victorian manor house beyond. She senses a strange mission of evil lurking, tainting the manor's peaceful beauty. Mostly a lovestory!! But what a narrator! 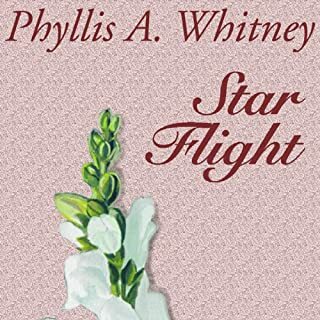 When an antique bridal quilt appears under mysterious circumstances at the vintage clothing shop where Rachel Grant works, she is fascinated. She has never been able to resist handmade textiles from the past, for she believes that through the ages women wove protective magic into their fabrics in order to mark the important events of their lives: birth, marriage, and death. Julie Newcomb has been called back to the birthplace of her worst memories, to be a companion to the one person she fears most. The truth lies somewhere on her grandmother's crumbling plantation, as real and terrifying as the two skeletons lying together in the swampy shadows of Deadman's Hollow. Twenty-five years ago, Susan Prentice lost her mother to a tragic accident. Now she is returning home for the first time to Virginia's eastern shores and the ancestral house whose front steps her mother fell down to her death. Though Susan has little memory of the accident, her arrival has alarmed those who fear what may lie dormant in Susan's memory. But it is her maternal grandmother, Alex Montoro, a proud, intense, aging doyenne of the ballet, who believes that that memory must be unlocked. For Susan is the only living witness to the tragedy - and Alex suspects that her daughter's fall was no accident. 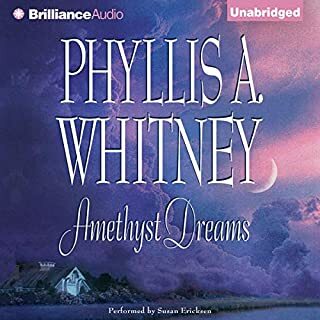 ©1992 Phyllis A. Whitney (P)1997 Blackstone Audio, Inc.
Not a fan of this “Phyllis Whitney book! The story line was slow, reader was monotone! Have always loved her books in the past!